In the maelstrom of information, opinion and conjecture that is Twitter, the voice of truth and reason does occasionally prevail. University of Washington researchers have found that tweets from “official accounts” — the government agencies, emergency responders, media or companies at the center of a fast-moving story — can slow the spread of rumors on Twitter and correct misinformation that’s taken on a life of its own. 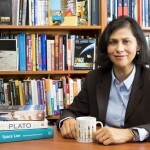 The researchers documented the spread of two online rumors that initially spiked on Twitter — alleged police raids in a Muslim neighborhood during a hostage situation in Sydney, Australia, and the rumored hijacking of a WestJet flight to Mexico — that were successfully quashed by denials from official accounts. The research team from the Emerging Capacities of Mass Participation (emCOMP) Laboratory in the UW Department of Human Centered-Design & Engineering and the Information School’s DataLab presented their findings in a paper at the Association for Computing Machinery’s Conference for Computer-Supported Cooperative Work and Social Computing in March. The case studies also offer lessons for organizations that may have plans in place to deal with an actual crisis, but haven’t considered how to handle online rumors and communicate before they have complete information or know what is true. “Oftentimes in a crisis, the person operating a social media account is not the person who makes operational decisions or who even decides what should be said,” said senior author and emComp lab director Kate Starbird, a UW assistant professor of human-centered design and engineering. “But that person still needs to be empowered to take action in the moment because if you wait 20 minutes, it may be a very different kind of crisis than if you can stamp out misinformation early on,” she said. The UW researchers found that the vast majority of the tweets both affirming and denying the two rumors were retweets of a small number of Twitter accounts, demonstrating that a single account can significantly influence how information spreads. Much of the online rumoring behavior was driven by “breaking news” accounts that offer the veneer of officialdom but don’t necessarily follow standard journalistic practices of confirming information. The first rumor was one of many that spread during the “Sydney Siege” of December 2014, in which a gunman took 18 hostages at a chocolate café in Australia. A radio talk show host reported that federal police were raiding homes in the largely Muslim Lakemba neighborhood when, in fact, officers were on a previously scheduled tour of a local mosque. Over a period of several hours, Twitter users posted 1,279 tweets related to the rumor. 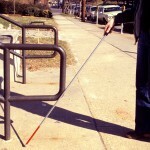 Of those, 38 percent affirmed the rumor, and 57 percent eventually denied it. Nearly all of the affirmations happened in the first hour and 20 minutes, before police responded to the rumor, and the bulk of these stemmed from just five Twitter accounts that were widely retweeted. Once the Australian Federal Police issued a single tweet — “@AFPMmedia: Reports that the APF is conducting search warrants in the Sydney suburb of Lakemba are incorrect” — the tweet volume related to the rumor increased to one per second. Ninety percent were retweets of the single police account source, and all were denials. Affirmations of the rumor never resurfaced in a significant way. 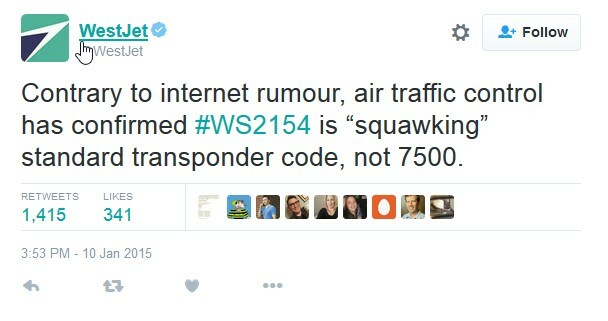 The second rumor the team tracked was a possible hijacking of a WestJet flight from Vancouver, British Columbia, to Mexico in January 2015, which generated more than 27,000 related tweets. It surfaced on Twitter after flight-tracking websites picked up what they believed was a “hijacked” code coming from the plane, which was likely caused by an instrument error on the ground. Being Saturday afternoon, no WestJet communications employee was officially on duty. But one member of the company’s social media team caught it from home about 20 minutes after the rumor surfaced. “The biggest question for us was: ‘Do we respond now with almost confirmed information, or do we wait five minutes to get confirmed info? 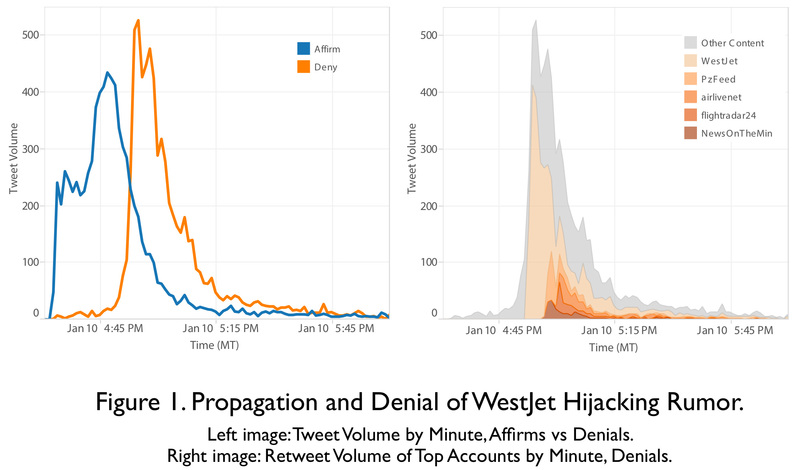 We chose, ‘Let’s get it out now,’ and then five minutes later confirmed.” The two WestJet denial tweets corresponded with a rapid drop in online chatter, and everything was back to normal within a couple of hours. 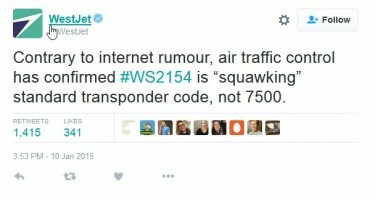 After that experience, WestJet decided to expand its inventory of precrafted tweet templates that do not require managerial approval and would be tweeted according to a specific protocol depending on how the issue is trending. This allows social media managers to respond to a fast-moving story and issue some type of official statement — even if complete information is lacking — before a situation escalates. In today’s information economy, it’s important for emergency response agencies and other organizations to invest in the personnel and have an engaged social media presence before a crisis hits, Starbird said. And these two examples of online rumoring behavior demonstrate how that investment can pay off. 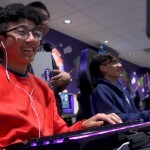 Co-authors are former UW Master of Digital Communication and Media/Multimedia student Cynthia A. Andrews, UW human-centered design and engineering undergraduate student Yuwei Ding and UW Information School assistant professor Emma Spiro. For more information, contact Starbird at kstarbi@uw.edu and Fichet at 949-878-6049 or efichet@uw.edu.